WHERE TO FIND CHEAP ACCOMMODATION IN Christchurch CITY CENTRAL. Christchurch is a must-visit for any backpacker! 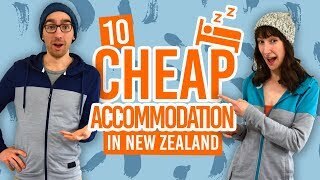 Not only is the city plentiful with short-term work opportunities for backpackers, but you’re bound to find some cheap accommodation in Christchurch. Whether you’re here to see the sights of this reviving city, explore the Port Hills and beaches or stay here long-term to save up the cents for further travel, you can find hostels, AirBnB, rooms to rent and more budget accommodation in Christchurch. Because Christchurch is a pretty huge city, we have put together a quick list of the inner city suburbs where you are likely to find some cheap accommodation, as well as outlining how far away they are from Christchurch’s city centre. This accommodation guide to Christchurch is also split into accommodation types, so you can just skip straight to your preferred accommodation style! For the rest of Christchurch’s outer suburbs and districts, read our Accommodation Guide to Christchurch. So find a place to stay in Christchurch using our nifty accommodation guide to Christchurch City Central! WHICH Christchurch SUBURB TO FIND ACCOMMODATION IN? There is accommodation found all over Christchurch city. Here’s a quick rundown on what to expect in each Christchurch suburb in relation to Christchurch city centre. For the rest of Christchurch’s outer suburbs and districts, read our Accommodation Guide to Christchurch. Note: CBD refers to “Central Business District” i.e. Christchurch’s city centre. Christchurch City Centre – Location: city centre, Distance from CBD: you’re in it. Average weekly rent for a room: NZ$185. Average hostel night: NZ$25-36. Addington – Location: southwest of CBD, Distance from CBD: 8min drive/35min walk. Average weekly rent for a room: NZ$130. Average hostel night: NZ$33. Spreydon – Location: south of CBD, Distance from CBD: 9min drive/45min walk. Average weekly rent for a room: NZ$140. Avonside – Location: northwest of CBD, Distance from CBD: 9min drive/40min walk. Average weekly rent for a room: NZ$150. Barrington/Somerfield – Location: south of CBD, Distance from CBD: 10min drive/50min walk. Average weekly rent for a room: NZ$135. Brynwr – Location: northwest of CBD, Distance from CBD: 12min drive/1h10min walk. Average weekly rent for a room: NZ$135. Dallington/Shirley – Location: west of CBD, Distance from CBD: 13min drive/1hour walk. Average weekly rent for a room: NZ$120. Edgeware/St Albans/Merivale/Mairehau – Location: north of CBD, Distance from CBD: 10min drive/30min walk. Average weekly rent for a room: NZ$180. Average hostel night: NZ$28-35. Fendalton – Location: northwest of CBD, Distance from CBD: 12min drive/45min walk. Average weekly rent for a room: NZ$125. Ilam – Location: west of CBD, Distance from CBD: 15min drive/1h10min walk. Average weekly rent for a room: NZ$160. Linwood/Phillipstown – Location: east of CBD, Distance from CBD: 8min drive/40 min walk. Average weekly rent for a room: NZ$140. Average hostel night: NZ$25-32. Papanui – Location: north of CBD, Distance from CBD: 15min drive/1hour walk. Average weekly rent for a room: NZ$160. Riccarton/Upper Riccarton– Location: west of CBD, Distance from CBD: 11min drive/45min walk. Average weekly rent for a room: NZ$135. Richmond – Location: east of CBD, Distance from CBD: 8min drive/35min walk. Average weekly rent for a room: NZ$120. Sydenham – Location: south of CBD, Distance from CBD: 7min drive/20min walk. Average weekly rent for a room: NZ$150. Waltham – Location: southeast of CBD, Distance from CBD: 8min drive/35min drive. Average weekly rent for a room: NZ$145. For the rest of Christchurch’s suburbs and districts, such as Sumner, New Brighton, Cashmere and Hornby, check out the Accommodation Guide to Christchurch. There are 17+ hostels in the city centre and inner suburbs of Christchurch, many of which have been newly refurbished since the earthquakes so are looking rather flash. Not only will you find hostels conveniently placed in the city centre, but you can enjoy a quieter inner suburb hostel experience in Edgeware, Burnisde and Addington. The cheapest hostel prices in Central Christchurch range from NZ$25 to $36 per bed per night in a dorm room. 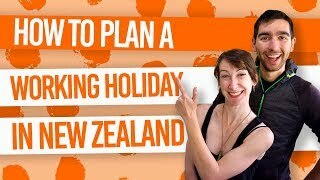 We always recommend to book your bed a week or two in advance in Christchurch, especially in summer (the peak season in New Zealand) and especially for our recommended hostels in Christchurch. Renting a room is common practice in Christchurch to keep the price to minimum when staying in Christchurch long-term, usually done if you have landed a job in Christchurch as part of a working holiday. With that, Christchurch is an extremely affordable city to live in. Expect a room to rent in Christchurch Central and the inner suburbs to be around NZ$175 per week. That’s a room to yourself in a flatshare or houseshare. You may find cheaper, around the NZ$135 per week mark, for a shared room. Although the average room price is NZ$94 per night, there are plenty of NZ$14-40 rooms spread out around the city centre and the inner suburbs of Christchurch. The city centre, Spreydon, Edgeware, Waltham, Phillipstown and Riccarton are particular good for finding AirBnB rooms. You’re first night with Airbnb is on us with this FREE NZ$50 Airbnb credit! With recent law changes on freedom camping, you can only pitch a tent or sleep in your campervan in commercial holiday parks and campgrounds. Those with a self-contained vehicle can stay for a maximum of two nights in the inner suburbs of Christchurch. More information is available in Where to Camp in Christchurch. The only inner suburb holiday park is at the Amber Kiwi Holiday Park in Middleton. Tent site prices start from NZ$44 per night. For alternative Christchurch holiday parks and campgrounds in the city’s outer suburbs, check out our Accommodation Guide to Christchurch.